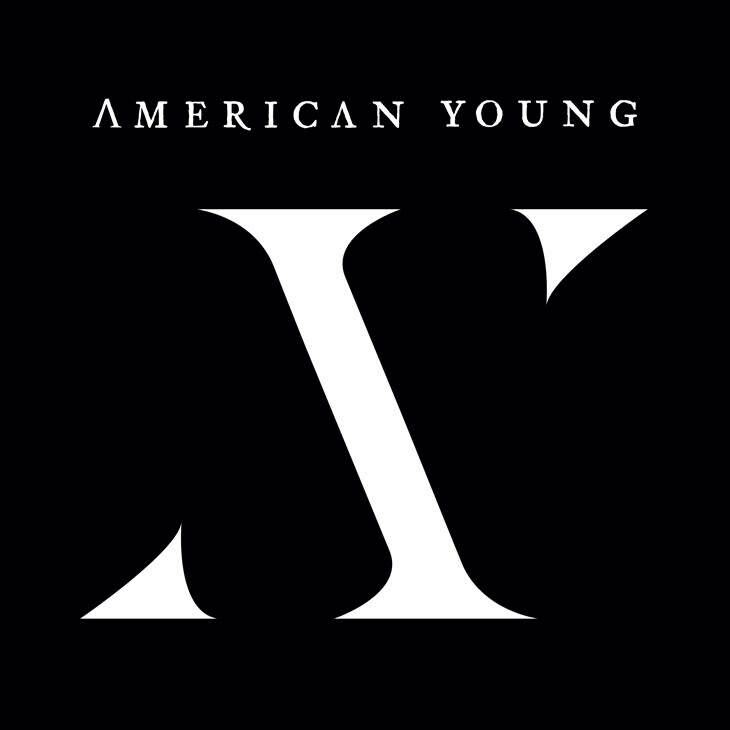 Due to be released on August 5th, AY is the debut full length album from American Young. Formed by Jon Stone and Kristy Osmunson, the duo previously released their self-titled debut EP in 2014 (check out my review here) and you can click here to read my interview with them just before their debut UK performance at this year's Country To Country Festival. With these tracks already available on Spotify and a few having videos on YouTube it is not the first time many fans will have heard a lot of these tracks but it is nice to see them brought together into a cohesive, formally released, album. Be Here is the UK single from AY. Opening the album, the track itself is also opened by a single staccato repeated piano note that heralds the almost haunting sound throughout the verses. This is nicely juxtaposed with the heartfelt vocal strength and relatively heavier production in the chorus. Calling up echoes of debut single Love Is War, Be Here is definitely a good choice to provide the link between the two releases (with Love Is War having featured on the duo's debut EP) for a UK audience and is also a generally a strong opening track. Be Here is followed by one of my favourite tracks on the album, American Dream. With an incredibly catchy fiddle hook courtesy of Kristy supported by a driving drum beat that alters slightly as and when needed, the production as a whole sets up an excellent base for the track itself. Building upon this with some of the best lyrics in AY as a whole, lines like "I want a sunrise, with nothing in the way" and "where there ain't no Monday morning rush and there ain't no one hour wait for lunch" cement the tracks overall appeal. After hearing Point Of View at this year's Country To Country Festival it was definitely one of the tracks that I was most excited to hear included on this album. A tongue-in-cheek look at relationships and the only track on the album written by just Kristy and Jon, Point Of View seems to suit them as a duo incredibly well and you can't help but smile as they trade lines. Lyrically, however, the track is nicely rounded out by what is ultimately a very sweet sentiment, something that will just draw listeners to it even more. Brilliant track, just a shame it's not longer! Hometown Girl is definitely a strong moment within the album. Both Kristy and Jon deliver emotive vocals that really sell the story behind the track and make for a very comfortable listening experience. You can almost feel yourself enveloped by Hometown Girl, each aspect of it is pitched at a level that showcases the duo really well. Following track - and album closer - Something To You has an intriguing, almost military style, snare drum hook that adds another dynamic to a track that manages to both tie in with the rest of the album and stand on it's own merits. Whilst the album as a whole is impressive, it does feel as though Better Than You lets it down slightly. This isn't the first rockier track that American Young have released (and Party In The Dark for instance proves that they can deliver a strong rockier track) however it feels as though they work with the relatively simpler production of other tracks really well which means that this sticks out slightly. Unfortunately the chorus highlights a slightly messy feeling, possibly due to the amount of production and the feeling that Kristy and Jon are straining slightly vocally. It's a shame, but Better Than You isn't as successful as it perhaps could be. Firmly making their mark upon country music, it feels as though Kristy and Jon have found their niche with this very impressive release. The duo have both US and UK tour dates coming up which you can find on their website here. American Young continue to go from strength to strength, I'd definitely recommend purchasing the album once it's released on August 5th!